James Maskell has sent in a preview for tonight's Kent Senior Cup game between Margate and Folkestone Invicta. 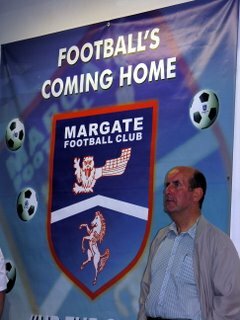 “Margate kicks off their Kent Senior Cup defence against Folkestone Invicta tonight at Hartsdown Park. Margate have a good record having won it three times in a row but Folkestone will be a tough team to beat, having got 10 points out of 18 from their last 6 games. Margate have improved in recent months also and with a more settled squad and having run out with a win on Saturday, should be up for the game. Wish I could be there but I’m too busy, so a match report would be welcomed! Is that James in the photo? Nope. I dont know who that is. 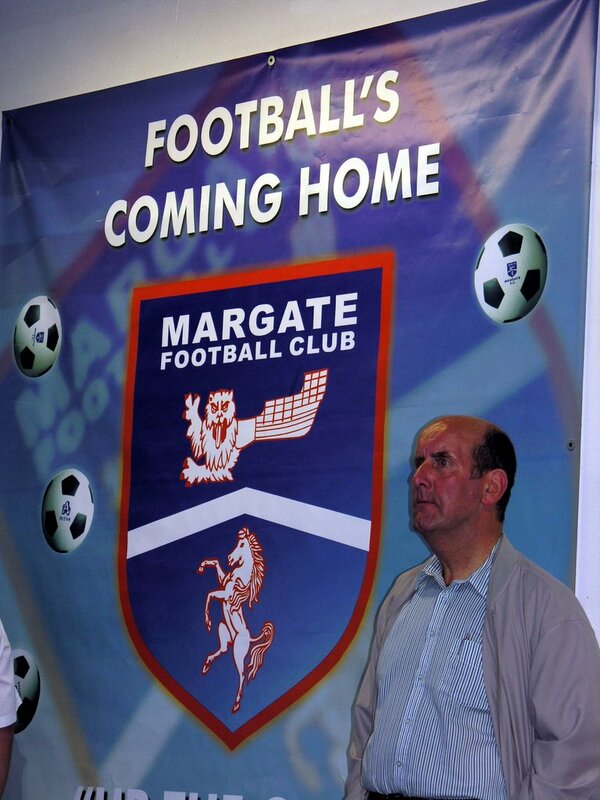 The poster of course was the one used at the Margate Carnival last year and consequently ended up being used as a board at the clubhouse end of the ground. The only picture of me thats ever been taken was in the Gazette and the KM Extra back in November about the Victoria Road Traffic Lights.